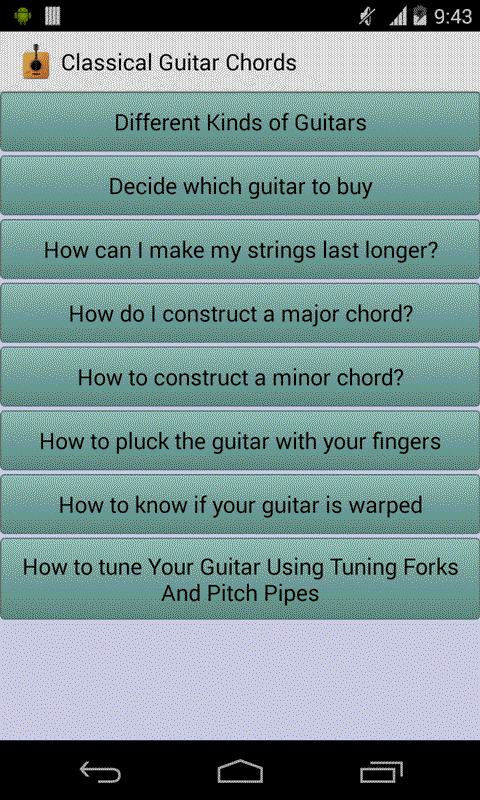 Classical Guitar application contains major and minor chords which you can play by touching the chords. This is one of the most realistic guitar simulator apps featuring a user-friendly interface and an awesome sound quality. All the notes have been recorded from the live acoustic guitar. 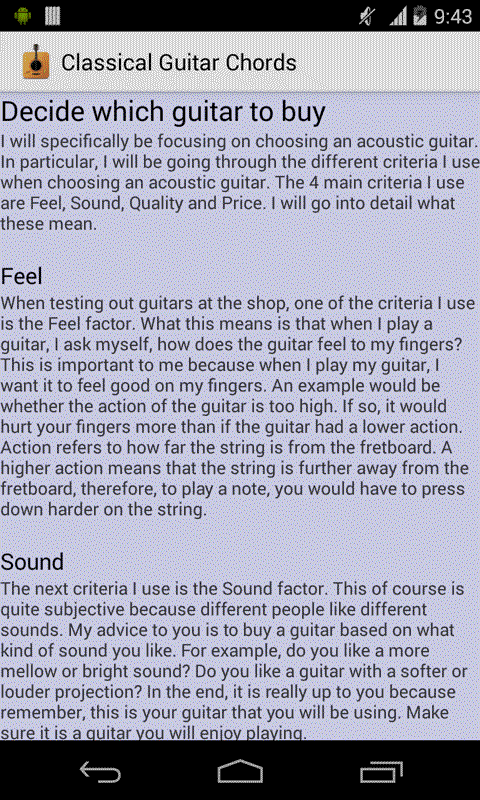 This application contains guitar lessons by Matthew from www.grahamchoo.blogspot.com You can also use this app to tune your chords. 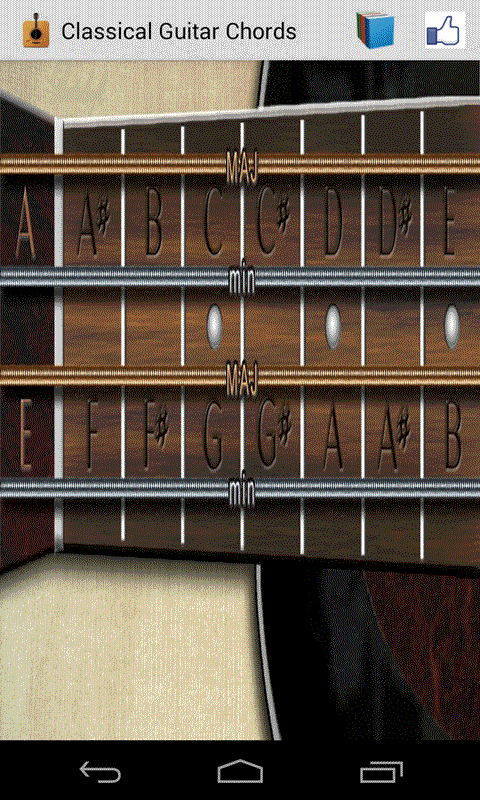 Play a virtual classical guitar on your Android phone or tablet. ✔ A huge chords database with tabs (tablature) ✔ Solo mode ✔ Hi-Fi sound ✔ On-the-fly chords switching You will like this app if you are a fan of Real Guitar, Guitarist or Learn Guitar Chords. Ads Disclaimer: This app is also supported by ads via Banners and Dialog Interstitial ads, Some users will also receive full screen ads, and ads on home screen via push ads and icon drops. This app contains ads from airpush and widdit.